Izima Kaora is a Japanese artist who started working in 1993. He uses well-known actresses and models as the characters in his work in a tableau manner. 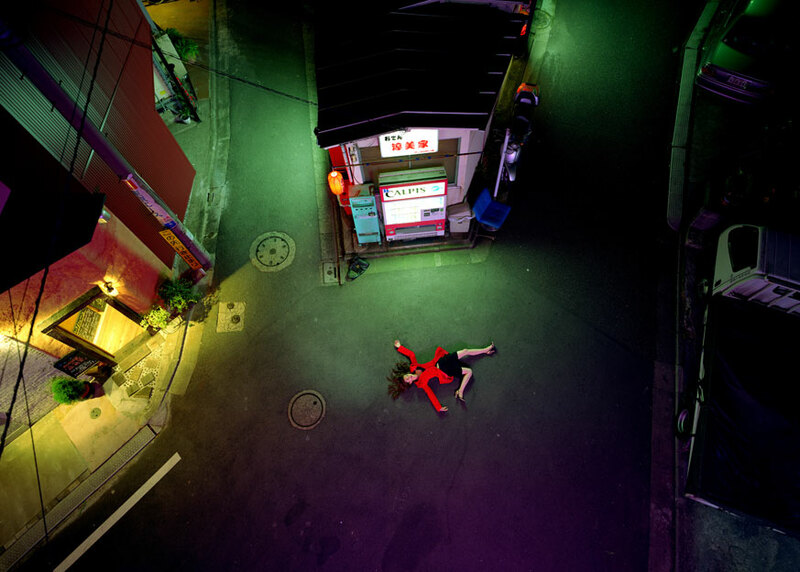 In his series, Landscapes with a Corpse, the titles include the name of the model and the designer of clothing they have on combining commercial aesthetic in social narratives. This is a dedication to the device of fashion photography. He asks the models what their idea of a perfect death is, and what designer clothes they’d like to die in. 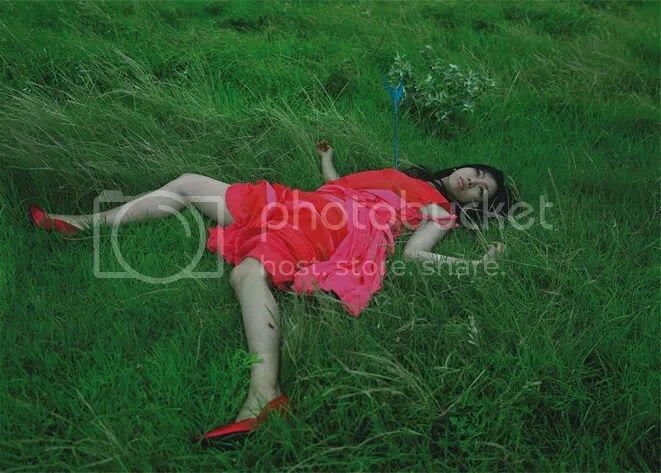 The result of the photo is a crime scene of the characters death, but the death doesn’t look fatal it looks peaceful and elegant. This work is tableau because it has dreamlike qualities, and is about collective fears/fantasies. (The idea of death is a fear everyone or most have, but he makes it a beautiful fantasy). The storytelling relies on our investigation of the image into our own narrative and thoughts. This entry was posted in Uncategorized and tagged Izima Kaora by brittherring. Bookmark the permalink.